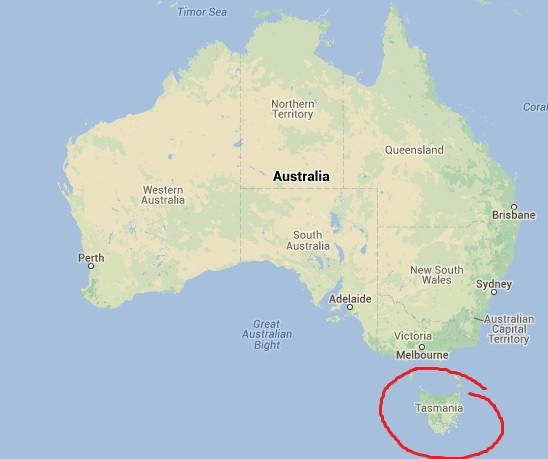 The Tasman Peninsula, where I was living during my 3 months in Tasmania, is home to a lot of history. 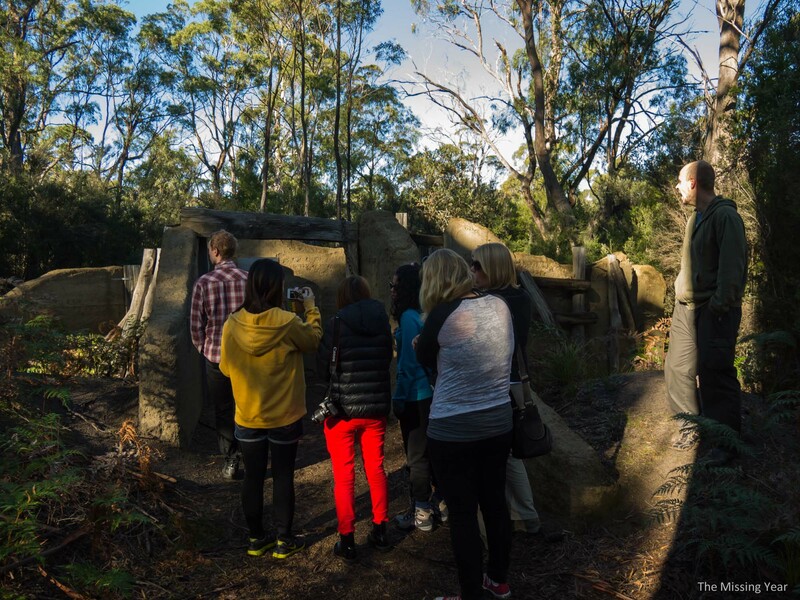 The most notable spot is Port Arthur, an old convict site for some of Australia’s worst criminals, but there was a related site nearby aptly called the Coal Mines. Because they mined coal there. This was a hard labour camp. It was shut many many years ago, but remnants of the work remain. One fine day myself and many of the helpers at Tasman EcoVillage took off for a gander. On our final day together in Tasmania, Tam and I started with a few hikes before we headed back to Hobart. 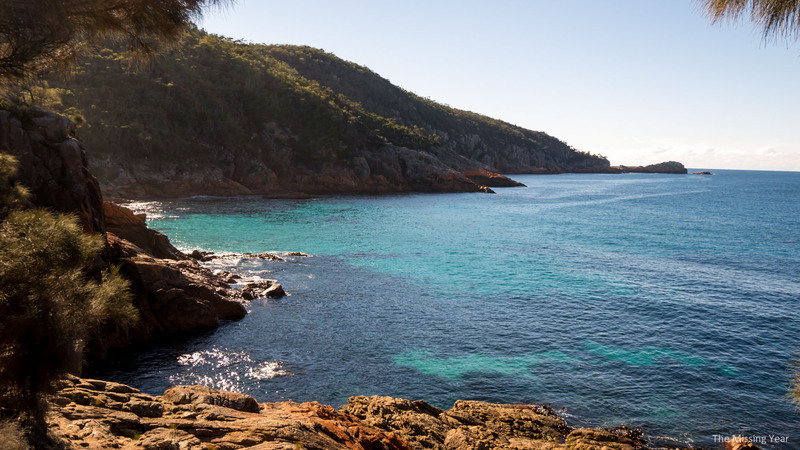 These were short hikes in and around Freycinet National Park. First up was Sleepy Bay, a short little hike to a pretty, secluded bay. The next morning Tam and I got a tasty breakfast from a small cafe and hit the road. 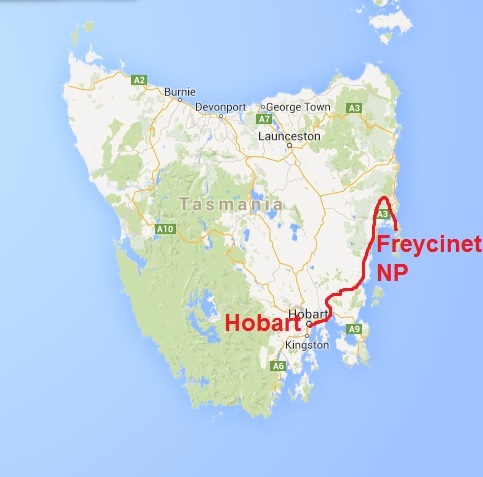 We had a bit of driving to do to get to our destination for the day/night: Freycinet National Park. So going back in time nearly a year from right now, I’m still at the photos from Tasmania. As a quick recap, I’d been down in Tasmania working to extend my visa in Australia. I’d been down there for about two months when Tam came to visit and travel around Tasmania with me. We met up in Hobart, with Tam’s flight arriving fairly early in the morning and me taking a bus in from Nubeena. After a big hug and kiss, we got in our rental car and went to our first destination, Mt. Wellington. Mt. Wellington towers up behind Hobart, but is most remarkable in the fact that it is so shear. 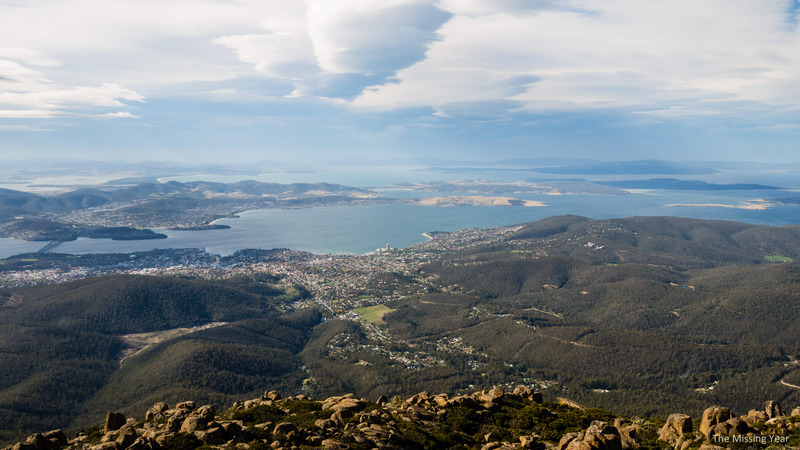 The mountain goes from Hobart, right at sea level, to over 1200m high in little time at all. The drive up is very winding and narrow, and the views from the top sensational. With 3 months in a remote location, I made the most of my free time by going on some hikes. Thankfully, the Tasman Peninsula boasts some great hiking tracks, many of which were easily accessible. 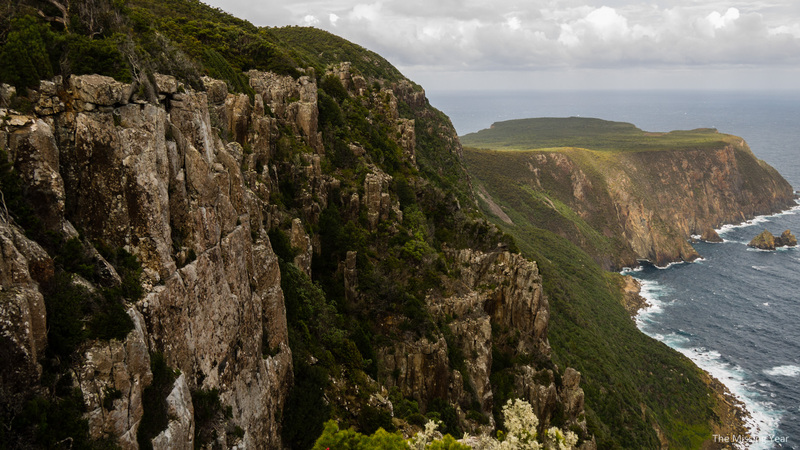 I’ll showcase two, the Shipsterns Bluff hike and Cape Hauy. The first hike I did with the group of friends I worked with at Parson’s Bay Retreat was to Shipsterns Bluff, overlooking some great sea cliffs in the area. The hike was relatively short, mostly in the forest, but did end up at some stunning cliffs. Far down below was Cape Raoul on one side. 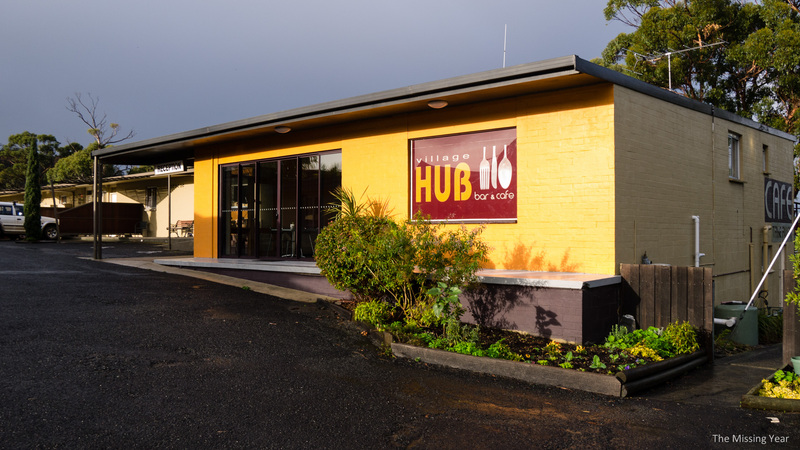 I had packed up my things, returned to Hobart, and just one day later found myself on the Tasman Peninsula, South-West of Hobart (instead of South-East, where I was previously). I had found my new home for the next 3 months, working for an Eco-Village and motel. I’d do 6 hours of work a day, for 6 days a week, giving me one free day a week to explore the peninsula. And exploring I’d do! 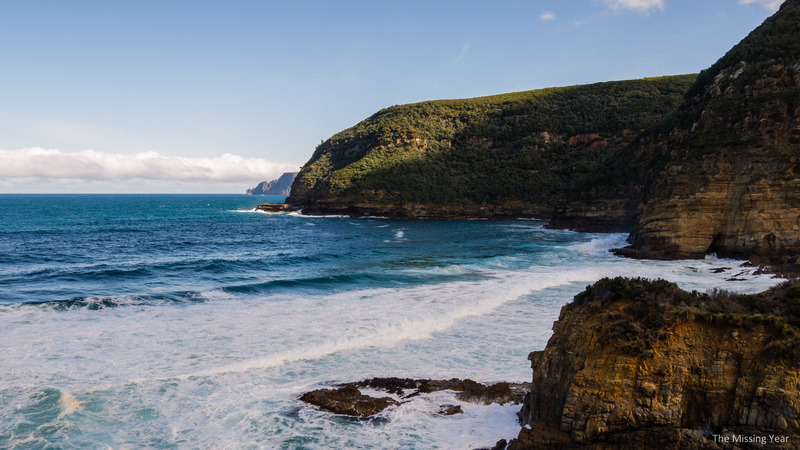 The Tasman Peninsula has some great coastal scenery. One day a few helpers and I borrowed a car and took a drive around to some of the highlights. Starting with the coast and some sea cliffs. Tasmania really does feel like a forgotten corner of Australia. It isn’t part of the mainland and the climate, people and feel in general is completely different. It was here that I’d be spending the next 3 months working to get a 2nd year Visa.